New research from scientists at the lab of Leslie B. Vosshall from The Rockefeller University reveals it may be possible shut down the host-seeking and blood-feeding behaviors of female mosquitoes. Their findings, published February 7th in the journal Cell, could result in mosquitoes being rendered harmless creatures in the future. 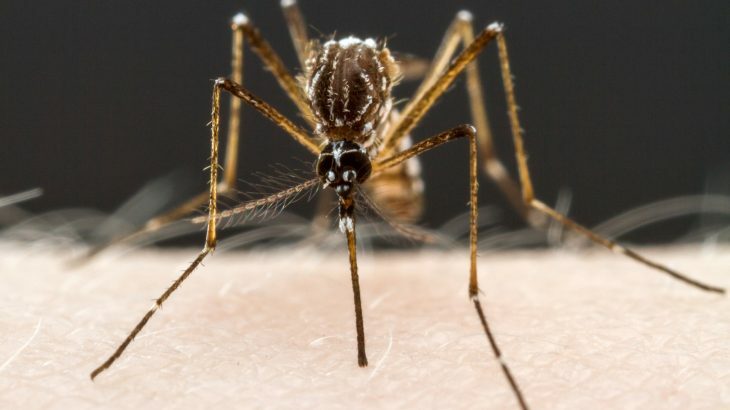 Scientists experimented on the Aedes aegypti mosquito, the species of mosquito responsible for spreading life-threatening diseases like Zika, chikungunya, yellow fever, and dengue. Female Aedes feed on human beings because our blood possesses protein needed for the Aedes to produce her eggs. After they feed and become bloated, they do not seek blood for several days. This bloated phenomenon can be recreated by scientists injecting female mosquitoes with large doses of neuropeptides, which activate certain receptors. Laura Duvall, the postdoctoral fellow project leader, and her team were able to figure out which neuropeptide compound would work to suppress the mosquitos’ appetite — by studying similar receptors in our own human bodies. Duvall and her team found that anti-obesity drugs used to inhibit Neuropeptide Y or NPY receptors in humans — those being receptors that regulate food intake — could affect NPY-like receptors in mosquitoes as well. “We were impressed and amazed that drugs designed to affect human appetite worked perfectly to suppress mosquito appetite,” said Vosshall, Rockefeller’s Robin Chemers Neustein Professor. After a series of neuropeptide cloning tests, the team found that the drug was affecting the mosquito NPY-like receptor known as NPYLR7. Because this human drug could not be safely introduced into the wild, the team then searched for molecules that would activate NPYLR7 without triggering human NPY receptors. They narrowed down a list of 250,000 candidates to one molecule — compound 18, the molecule that suppressed Aedes‘ host-seeking behavior without showing off-target effects.Mosquitoes who were fed compound 18 didn’t hunt for human blood, nor other mammal’s blood. The next step is to find where the receptor is located within the mosquitoes’ bodies to help stop the spread of mosquito-transmitted diseases. And perhaps, compound 18 could be delivered to female mosquitoes in the wild to thwart disease before new disease-carrying mosquitoes are born.